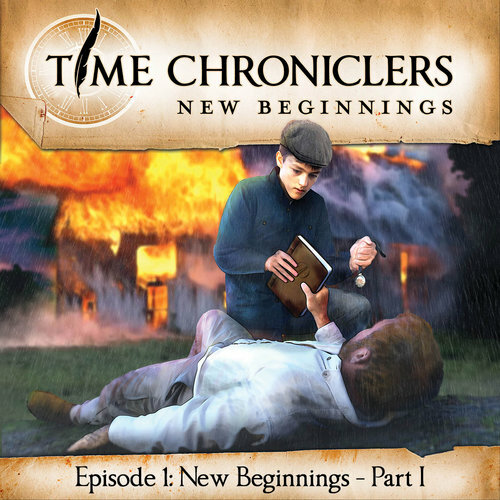 Creation Quest announced the release of the first three episodes of their brand new audio drama series, Time Chroniclers. This new series, according to the website is "...an audio drama that continues to give great evidence for creation in an exciting and informative way. Follow the Penner family, Scott, Suzanne, Winny, Hope, and Heath, as they find secrets from the past that unlock their future!" Jimmy's 15th birthday goes from joy to disaster after his father passes down a watch and a journal containing information that two men are sent to silence. In modern day, Scott Penner finds his faith challenged when he's handed an assignment to cover Darwin's voyage to the Galapagos. At home he must confront the family's bad habits and poor attitudes towards each other. The episodes were written by Pat and Sandy Roy (co-creators of Jonathan Park) and their two daughters. Sound design is by Pat Roy with original score by Connor Savoca. Frank Montenegro, the voice of Dr. Kendall Park on Jonathan Park, is the host. You can purchase digital downloads of these episodes at the Creation Quest online store. Episode 1 is currently being offered for free, but we don't know how long this deal will last so grab it before it's too late. For more info about Time Chroniclers visit TimeChroniclers.com.